Monochrome palettes never seem to date, and we see them on the on the catwalks season after season. If you’d like to introduce this striking trend to your décor, pair black Venetian blinds with white furnishings and accessories. 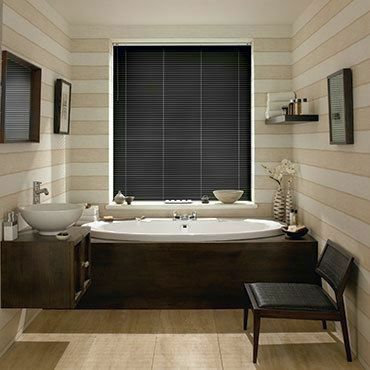 Black Venetian blinds combine style and practicality to great effect. As well as being raised and lowered as you would expect, the slats can be tilted open to let a little light in while keeping prying eyes out. There’s so much more to personalising your black Venetian blinds than selecting a shade. At your home appointment, your local Hillarys advisor will talk you through all of the beautiful possibilities. If your room faces a busy street for example, you might want a smaller slat width to maximise your privacy. Or in darker spaces, black Venetian blinds with wider slats allow more sunlight to filter in. 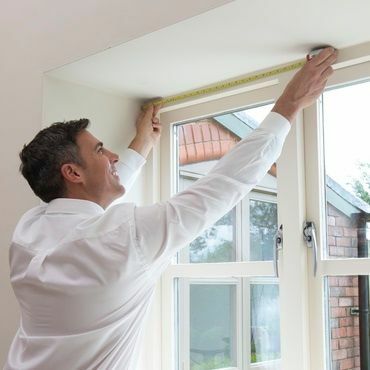 And if you have uPVC windows, you could consider Venetian blinds in a PerfectFit frame, which click neatly into place between the glazing and beading and are completely cord-free.